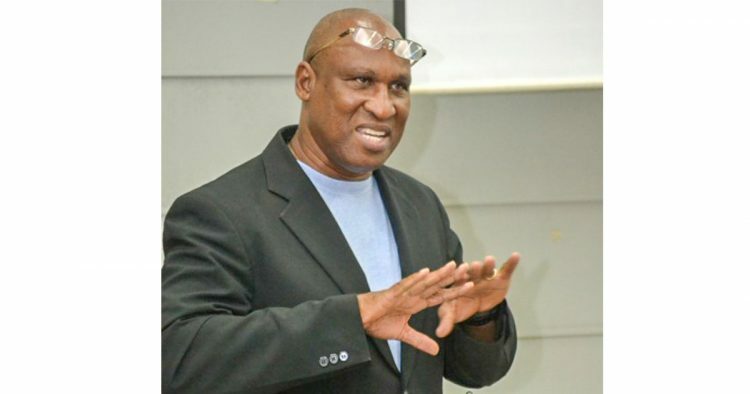 (Grenada, Island Media): The London based Privy Council on Monday, March 18, 2019 overwhelmingly rejected the application by Ewart Layne to be admitted to the Grenada Bar. Layne is one of a group of 17 convicted in 1986 for the murder of revolutionary Prime Minister Maurice Bishop and several members of his Cabinet. He served 26 years in prison for the crime which was committed 36 years ago. During his incarceration, Layne attained an LLB (Honours) and LLM from London University, and a Bachelor of Science degree in Applied Accounting from Oxford Brookes University in the UK with first class honours. He was released from prison in 2009 and in 2013, Layne was awarded the Legal Education Certificate of Merit from the Hugh Wooding Law School in Trinidad & Tobago. Layne applied to the Supreme Court for admittance to the Grenada Bar in October 2013, and after being rejected at that level, he appealed to the Organisation of Eastern Caribbean States Court of Appeal which upheld the Supreme Court’s decision. He then sought leave to appeal to the Privy Council. Five Law Lords, Lord Kerr, Lord Wilson, Lord Sumption, Lady Black and Lady Arden heard the matter in October 2018 and handed down their judgment today. In a four-to-one decision, the Law Lords agreed the application should be dismissed. Lord Kerr, who dissented, said he would have recommended that the matter be remitted to the Supreme Court of Grenada, for the appellant’s application to be determined according to what he considers to be the correct legal principles. The application by Layne was weighted on “good character”, but the four Law Lords in dismissing the appeal, agreed that “good character” is not just a reflection of the individual, but that the test was whether there was “a potential risk to the public, or, more importantly, whether there will be damage to the reputation of the profession”. The court was “concerned with the maintenance of public confidence in the members of the profession” Layne was represented by Edward Fitzgerald QC, Tim Nesbitt QC, Amanda Clift-Matthews, Ruggles Ferguson and Cajeton Hood who all offered their services pro bono.